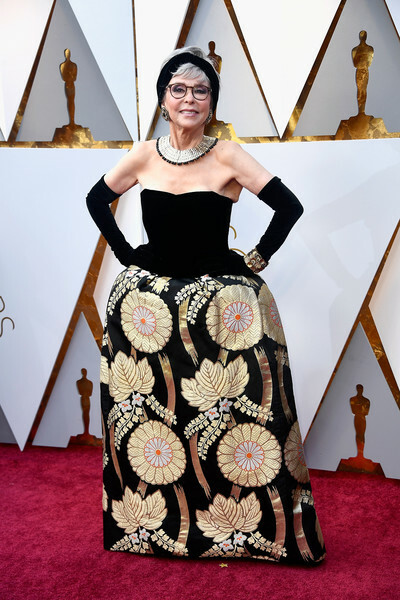 Color, color, and more color was all over the red carpet at the 2018 Oscars. From bright pink to cobalt blue, almost every tones was represented in the dresses. And there was a lot of metallic shimmer and detail, as well as giant bows on the backs and fronts of dresses. Lots of fun trends and styles were on show for the 90th annual Academy Awards. And here is my top ten best dressed list of the evening. Who was your favorite? Greta Gerwig in Rodarte and Tiffany & Co.